This past year, Apricity had the pleasure of partnering with the Nina Haggerty Centre for the Arts to amplify its cause. The Nina is home to one of Edmonton’s most unique art collectives, made up of more than 170 artists with developmental disabilities. 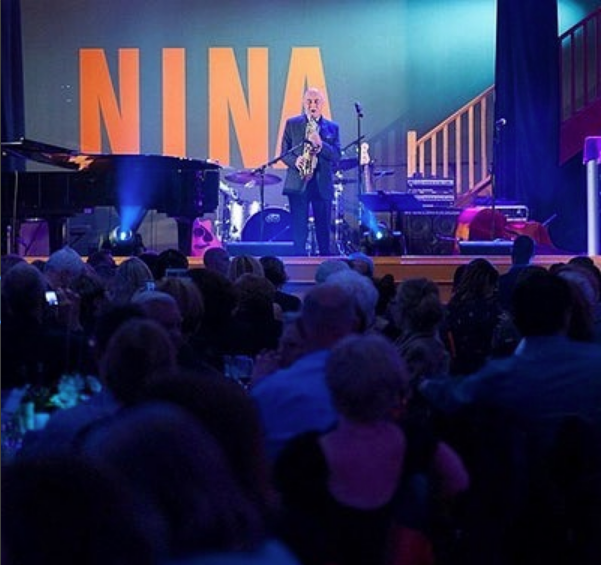 At its core, The Nina strives to make art accessible to everyone, particularly those who face barriers to artistic expression. 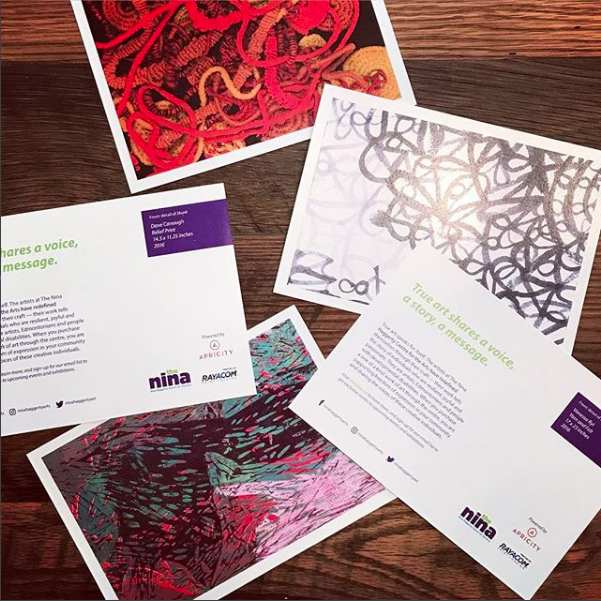 Using a variety of different mediums, artists at the Nina are supported by a rotating team of professional artists who facilitate the work through one-on-one mentorship, small group sessions and workshops. The partnership began with a deep dive into what The Nina was currently doing to promote themselves and where Apricity’s support would be most helpful. With a small, but fiercely mighty team The Nina was looking for support to purchase more supplies, a TV for their front entrance to welcome guests and display information about The Nina, movable gallery walls to help show art exhibits in more places and additional funds for programming throughout the year. Throughout this past year, Apricity helped raise and secure partnership valued at over $36,000 for The Nina Haggerty Centre for the Arts. Our fundraising journey kicked off with a partnership with Poppy Barley who held a private party to launch their holiday shoe collection. A portion of their sales from every pair of shoes sold went straight to The Nina. The Kinsmen Club is a proud supporter of Apricity and contributed over $8,000 for The Nina to purchase moveable gallery walls and new light for the gallery space. In addition, First Lady Sarah Chan also donated a TV for the front entrance. 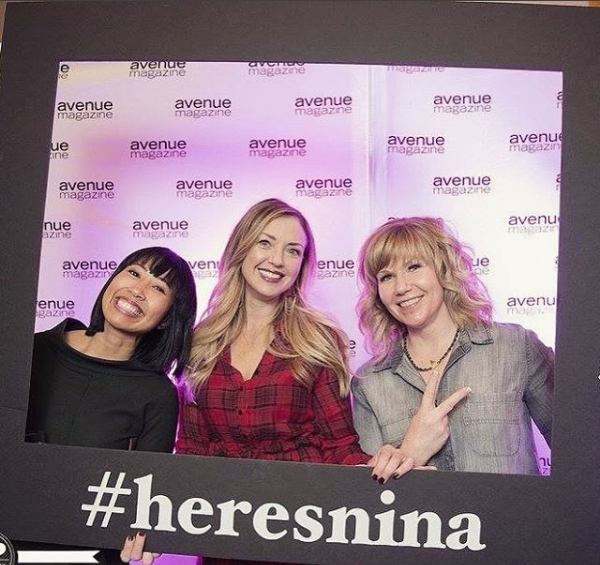 Berlin, an Edmonton-based creative advertising agency developed postcards to encourage signup for The Nina's newly incorporated e-newsletter on their website. As a result, Apricity was able to facilitate exposure of The Nina to new audiences. The postcards were distributed at Etsy Made in Canada and at the Spring and Fall Nest in the City markets. The Nina won the 2017 Northern Alberta Field Law Community Fund Grand Prize, totalling $6,000! Read more about the Field Law grant here. 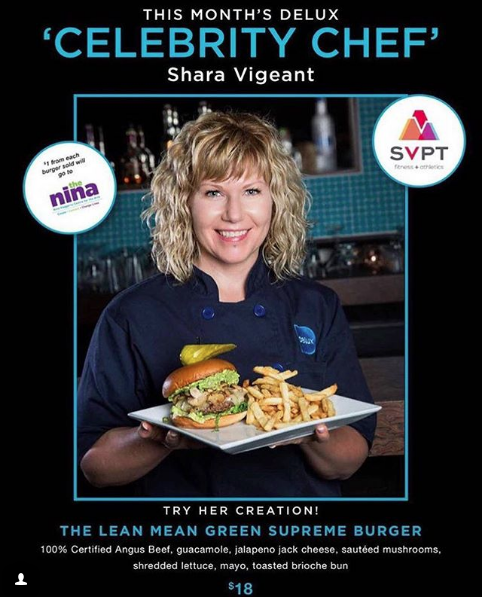 Apricity member, Shara Vigeant, was selected as Deluxe Burger Bar's Celebrity Chef. Shara worked together with the chefs at Deluxe to create "The Lean Mean Green Supreme Burger". For every burger sold, $1 went towards Shara’s charity of choice - The Nina. It was the second most sold burger in Deluxe's history with 454 burgers! Apricity members also donated their time to The Nina once per month to help with everything from wrapping artwork for donors to selecting artwork for the walls. This year the Apricity team was also able to secure in-kind advertising space at the Edmonton International Airport to help bring The Nina to new audiences. In October, Apricity put their effort and focus on ensuring The Nina’s annual fundraiser, Here’s Nina, was a sell out success through a social media campaign push - 2017 was the first year Here’s Nina has ever sold out! The work that Apricity does would not be possible without the generous support and partnerships with Edmonton businesses and community members. Sponsorship involvement helps our community thrive and make Edmonton and our community members stronger. The Nina takes home the Field Law Community Fund Grand Prize! 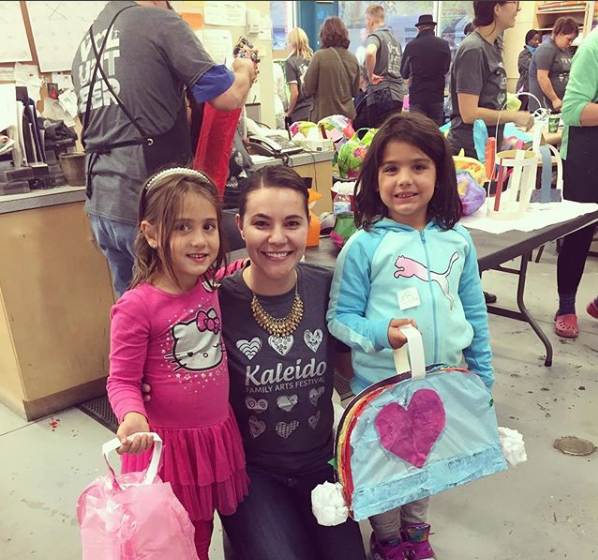 Apricity's sole purpose is to amplify the message of local not-for-profit organizations. So when we started exploring funding opportunities for The Nina Haggerty Centre for the Arts – our charity partner for 2017 – and came across the Field Law Community Fund Grant, we thought it was a perfect fit. At first our friends at the Nina weren't too sure. They had unsuccessfully applied for this same grant in the past and were apprehensive to try for it again. But with a little convincing about the support we were willing and able to provide, they bought into the idea. The Field Law Community Fund Program is a way for Field Law to give back to the communities in which they work and live. Over the last five years, the program has awarded funds to support 68 charitable organizations throughout Alberta and the Northwest Territories, with over $400,000 donated. Projects are submitted by the public, shortlisted and posted on the website, and opened up to public voting. The organizations that receive the most votes are reviewed by a Community Market Panel made up of both Field Law employees and members of the community, and the winners chosen from those. The Nina proposed a project that introduces silk screening to their over 170 clients. Silk screening is not only a desired medium for these artists, but also gives them a way to create merchandise that can generate revenue for both the artist and the Nina (proceeds from any art sold through the Nina Gift Shop is split 50/50 between the artist and the Nina). Excitedly, the Nina was chosen as a grand prize winner and took home the largest grant given - $6,000 for the program! On July 20, 2017 Field Law proudly presented the Nina with the grant. Here, Rona Fraser, Director of Fund Development at the Nina and Amy Tsang, Apricity member, accept the prize.